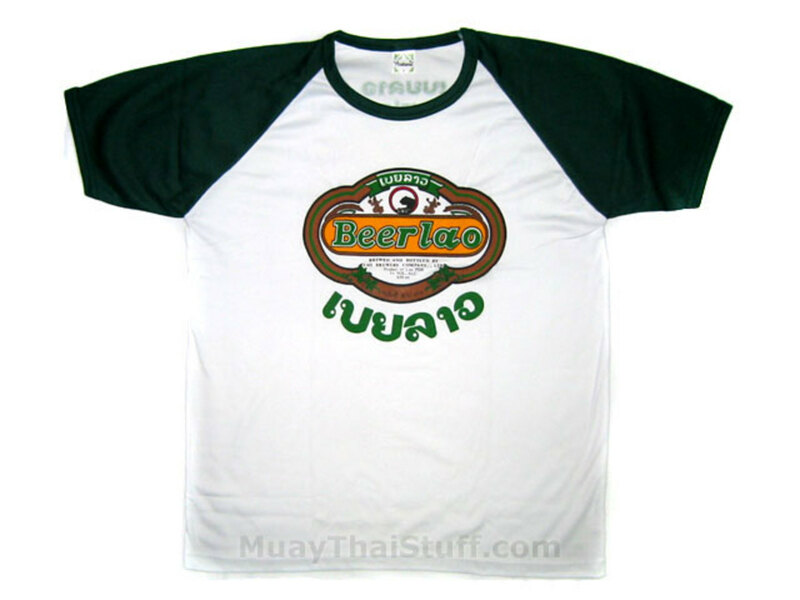 As I recall, I first learned about Beer Lao from a T-Shirt. While walking around one day at my Buddhist Temple fair grounds during a festival, I spotted a Lao guy not much younger than me walking around sporting a white T-Shirt with green shortsleeves and the now popularized Beer Lao logo on his chest. My first thought was, Wow, what a cool shirt and my second was, Wow, what the heck is Beer Lao? Right away I became interested. I was almost embarassed that I didn't know, because if my country of birth had in fact created a beer, why don't I know about it? I love beer and I love Laos, so why wasn't I made aware of the fact that there is now a beer from Laos that I can drink? I practically walked up to the guy and grabbed him by the shirt collar and interoggated him. "Hey, why wasn't I told?" I wanted to ask him but didn't. I had a barrage of questions like How long has this beer been around? How is it that a Communist country is marketing their product 10,000 miles away? What does Beerlao taste like? Is it even any good? All of these questions would be answered very shortly as I would seek to find the meaning and purpose behind this mysterious and intriguing brand of beer. Laos? 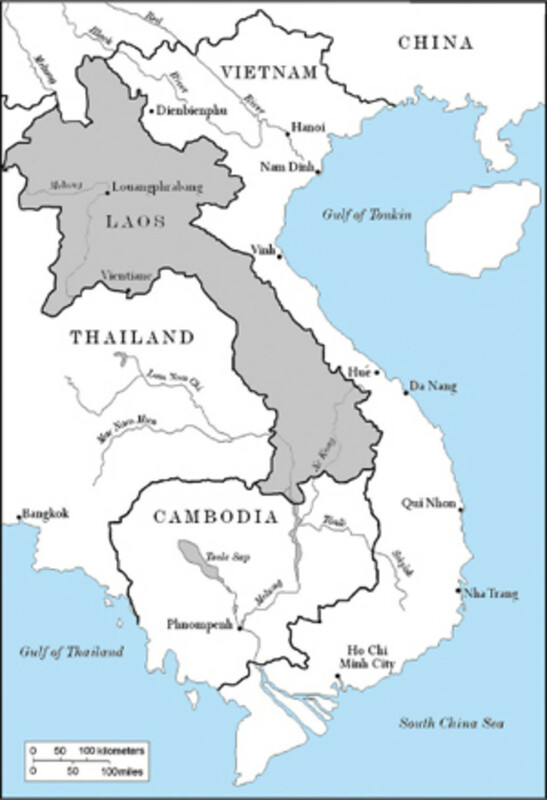 Where in the World is Laos? Beer Lao is, according to its official website,"The premium rice beer that defines a nation and accompanies anything and everything in the land of smiles is here...Beer Lao is the embodiment of South East Asia's forgotten jewel, a tropical paradise with the innocence of an earlier age, when time was not money, life was savoured slowly and the joys of the moment triumphed over the desires of the future...Enjoy the moment, enjoy Beer Lao." Brewed in Laos, "Beer Lao is made with only the choicest ingredients, like hand-picked indigenous rice varieties, spring water originating from the foothills of the Himalayas, Hallertau hops, German yeast and French malted barley. "The oldest archaeological records of rice cultivation in the world can be found in Laos, and throughout the millennium Laos has provided a home to more varieties of rice than any other country in the world. Today, between 3000 to 4000 varieties can be found in Laos. The same traditions of care, cultivation and stewardship that have created this unique heritage can be tasted in the crisp, clean and relaxed taste of Beer Lao." Today, Beer Lao is jointly owned by the Lao Brewery Company (L.B.C.) and Carlsberg/TCC (a joint Thai and Danish company). You may recognize Carlsberg as being a widely distributed Danish beer comp. 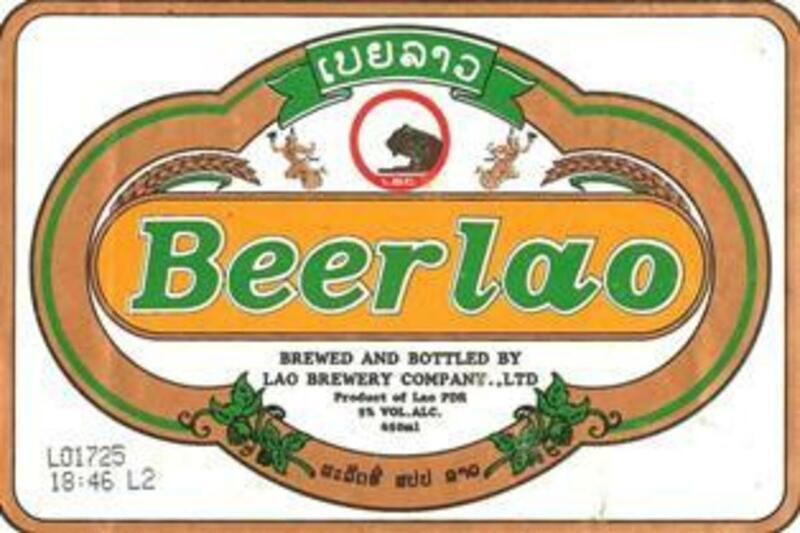 Beer Lao was originally founded in 1971 whose owners were comprised of Lao and French businessmen in which time their beer was marketed as Biere Lao until early 1995 when they changed the name to Beer Lao. They now have plants in both Vientiane (where my mother was born) and Pakse (coincidentally where my father was born). Total, between both parents...er plants, approximately 260 million liters of Beer Lao is produced annually and is steadily increasing (that's almost one liter of beer for every one living in the US alone!). On the official Beer Lao website (http://www.beerlao.co.uk) it states that it, "Beer Lao proclaimed as Asia's best beer by Time Magazine (in 2004) and hailed as the Dom Perignon of Asian beers by the Bangkok Post..." And so I began thinking...So, you're telling me that this Beer Lao is better than its Thai counterpart Singha, better than its Chinese neighbor Tsing-tao and better than Japan's highly prized Sapporo too? The hell you say! So in essence, Beer Lao, which comes from an underdeveloped, landlocked, third-world country is rated higher by Time Magazine* compared to ALL these other INTERNATIONALLY KNOWN beers combined? Wow. 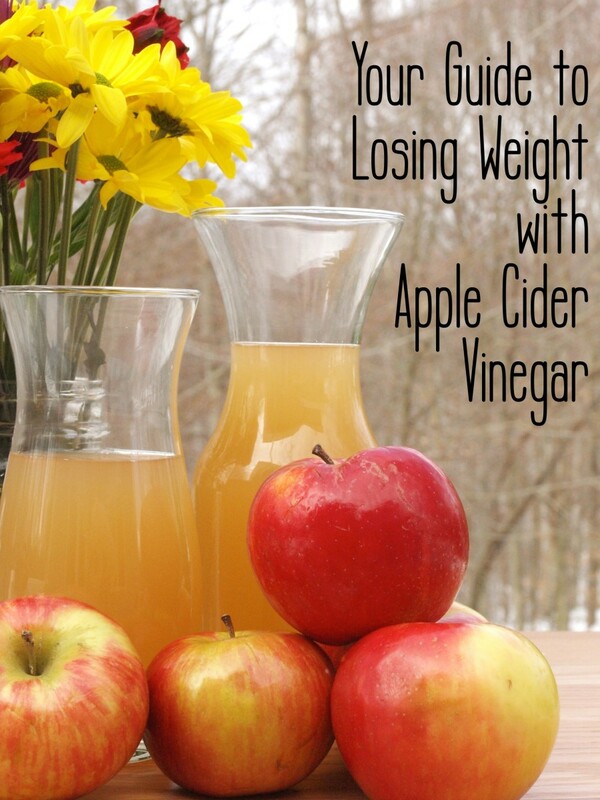 That certainly speaks volumes--330 ml in volume to be exact! And in case your wondering what that translate to in the U.K. or U.S. it comes out to be 11.162 fluid ounces--slightly less than your usual 12 ounce variety. But no one should fell that they're in any way getting cheated out of 0.838 ounces of good brew, Beer Lao Original (Lager) has an alcohol content of 5% alcohol! Beer Lao Light has I also found that Wanderlust Magazine claimed that it was,"The world's finest beer" and was the unanimous winner of a reader's poll. Sold as 330 ml bottles, a 640 ml bottles and a 330 ml cans. Beer Lao Original is sold widely throughout south east Asia, including of course Laos, Cambodia, Thailand. Many bars and restaurants predominantly frequented by tourists sell Beer Lao by the bottle and some venues serve it from the tap, in which the Lao locals refer to as bia sote or "fresh beer." As of 2007, restaurants in Laos charge 10,000 to 12,000 Kip or a little over US$1. 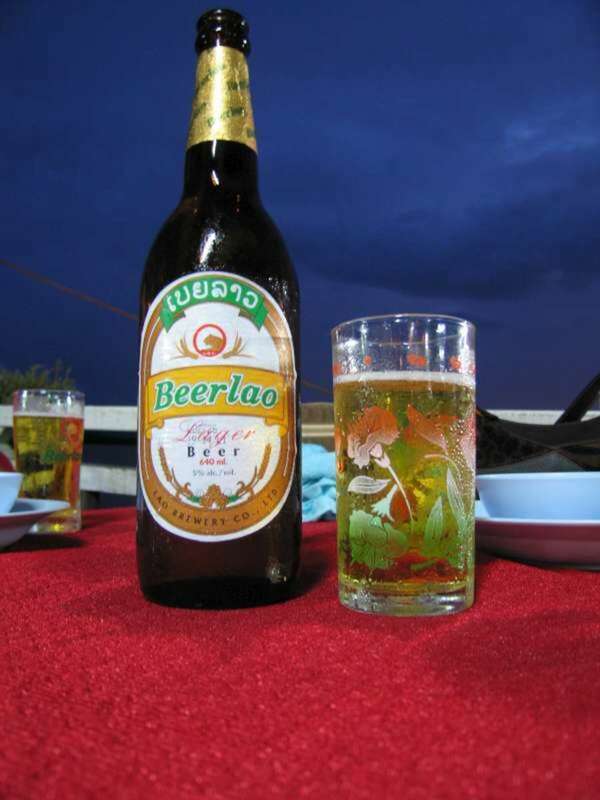 Drinking Beer Lao is widely popular with the tourism market, as it is within itself an attraction. 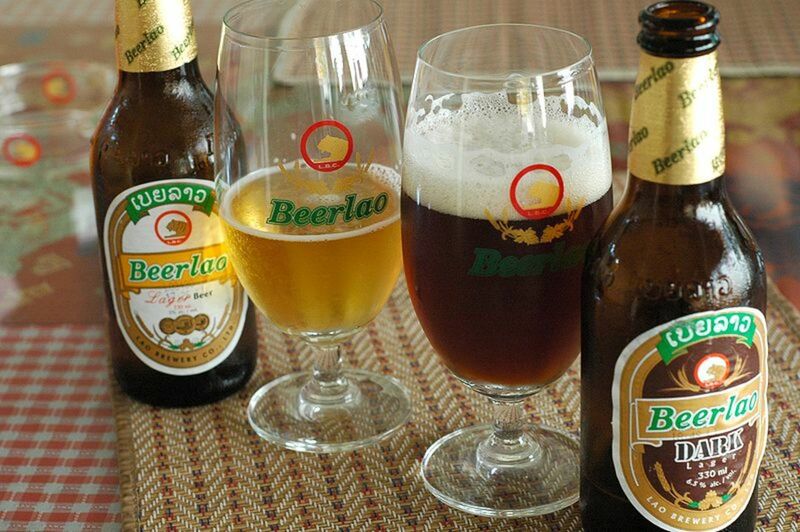 There are currently a total of 3 types of Beer Lao: Beer Lao Lager, Beer Lao Light, and Beer Lao Dark. 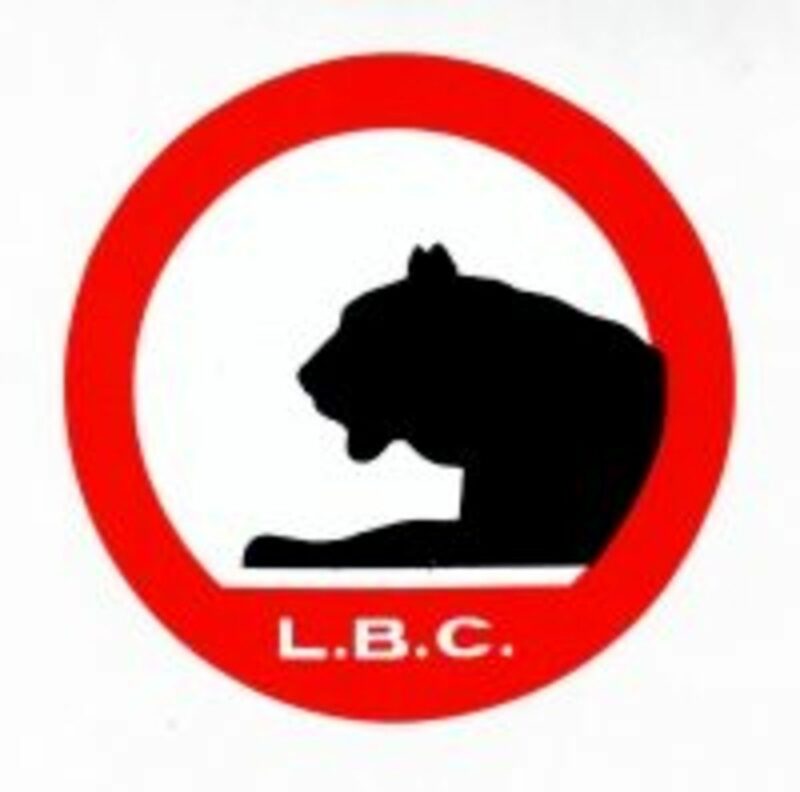 The Lao Brewing Company also produces Carlsberg Beer from their plant in Vientiane (pronounced Viang Chan) and also produces and markets bottled spring water under its Tiger Head logo. It is stated that Beer Lao enjoys 99% of the market share in Laos and that only 1% of its annual production is exported outside its borders. Beer Lao is exported to over twelve countries around the world, including the US, UK, China, Thailand, Cambodia, France, Australia and New Zealand. Emily Rauhala of The New York Times said that "Beer Lao is notoriously hard to find" elsewhere around the world due to the fact that it's meager supply is insufficient to it's huge international demand. However, due Beer Lao's widespread demand, that may well change very soon. Okay, so maybe I'm biased in some way in this matter. I mean, if you asked me if your mom's food is better than my mom's food (even if it were true), I would most likely tell you to your face that my mom's cooking is by far better. So how is Beer Lao, you ask? Awesome. Although I only tried the lager, I believe that it was one of the best beers I've ever tasted. Beer Lao has a distinctive fruity and slightly nutty taste, and being that it is indeed a rice-based lager, its texture is light and crispy. It has a medium head and a sweet jasmine aroma once poured into a pilsner glass. Hope that helped you decipher whether or not this beer is for you, as it's the perfect fusion of East Meets West, applying the best ingredients from a total of four nations: Laos, France, Belgium and Germany. As of right now, Beer Lao is difficult to find. If you are able to find it online, getting it shipped to your house could prove costly. One cannot just popped into the gas station or supermarket down the street to purchase a six-pack (well, not yet anyway). But perhaps one day that'll change. But for now, if Beer Lao is as good as most say, it's really not impossible. Cheers to all you! Given the opportunity, I hope you enjoy Beer Lao as much as I do! I realize this post is old, but I stumbled across it in my search for Beerlao. I am on a mad hunt for the beer and can't find it anywhere. I live in TX. Do you have any more insights on how I can purchase the beer? It's not just a beer, it's an attitude! Love Beer Lao! Before going to Laos I rarely drank beer, but gradually developed taste for Lao Beer with a beautiful companion and enjoyed beer sometime morning till late in the evening....That was great time. beer lao is so cool for social outdoor! Nice hub thanks for sharing. Gonna have to see how do I go about trying it! Our country`s beer is very famous as well. I am gonna have to write about it sometime. Although, I confess myself not much of a drinker, my drink of choice is Rouge Cabernet Sauvignon. :D Well, here's a virtual Beer Lao for you! Thanks so much for reading me. I'm glad I made you thirsty, lol. I'm an occassional drinker but suddely i'm feeling very thirsty for a beer! It's one of the best in the world...I really hope that you get the opportunity to, TFT. Thank you for reading! 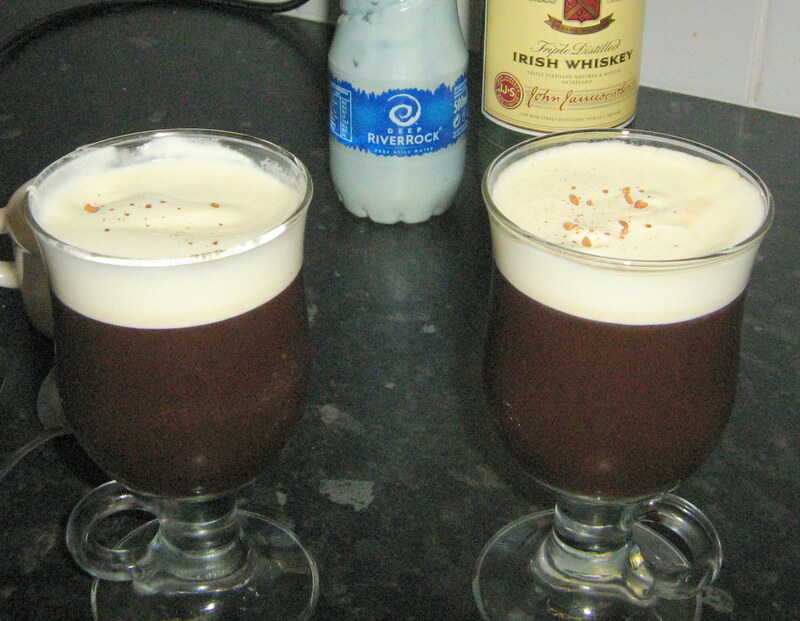 It sounds very good , I would love to try one. Thanks, GH! When you do finishing writing your hub, you know I'll be reading it hot off the press! I love learning about different cultures. Yes, drinking beer certainly has its positives and I totally agree with you. But of course too much of anything is a bad thing...Just hope you're old enough to drink a Beer Lao when I do send it to you ;) Thank you, my friend! Hello....again. Thanks for the thumbs up! Its really hot here so I agree, to have a nice cold BeerLao would be excellent. Cheers!! Depending on where you live in Texas, you probably have a better availability than I do here in Connecticut! I'll look into it for you. There really aren't that many beers that I like as there are so many different kinds and have such discriminating taste...However, Beer Lao is great :D Thanks again, Pretty! hiya Dohn, I want to taste Beer Lao lol, where do they have that here, actually I miss beer, we also have beer in the Philippines, San Miguel Beer, taste like the Corona beer here in Texas (Mexican beer), but I want a taste of that beer! If you know where to find it here....Ms. Beer Lao 2008 is pretty, hmmm! Hey, Song-Bird. Thank you for reading this as I thought you might be interested in it. Yes, I have a tough time finding it myself where I live. Hopefully it will become readily available in the near future. It looks like a good beer. I don't know if I would be able to find it but if I did I would definitely try it! 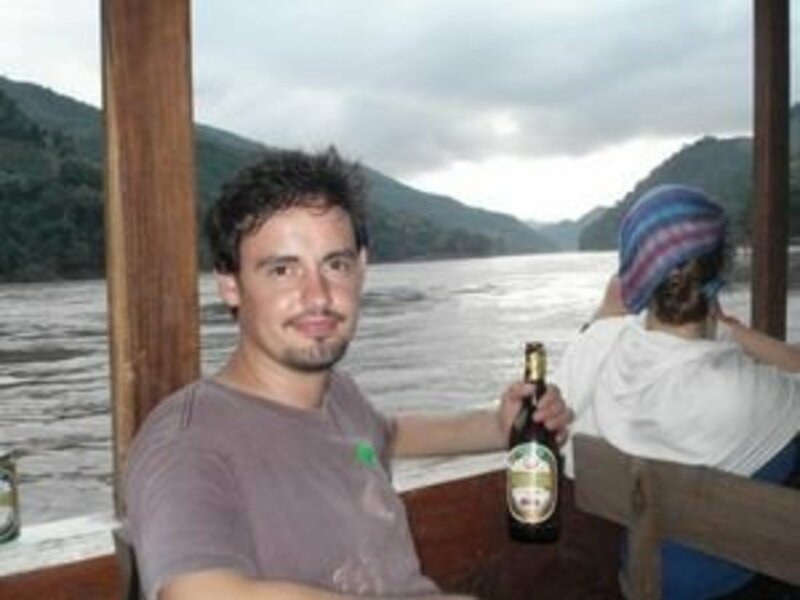 Wow, you are the first "falang" to have visited Laos and drink Beer Lao while there! Thank you very much for visiting my hub (and country). I'm planning to go back there within the next 2 years. I appreciate the compliment! Hello....Loved your article about Beer Lao. I thoroughly enjoyed drinking it when in Laos and your article and pictures bought back some glorious memories of my time there. Tis a great beer and a fantastic country. Thanks, Jess. I know what you mean. Here, in New England, you can only by beer up until 8 in the evening and the next possible time you can legally buy alcohol after that is 12 noon Monday! It forces you to become proactive! Me too, paramarora! If I could, I'd send you a six-pack just for saying so! Thank you for your read. I want this beer now. I will have to find it. Good Work Dohn. Thank you for that, dokdumduan! I really appreciate it! Korp jai! LOL...Beer Lao is definitely my favorite, but Heineken is readily available to me! Thanks for asking Irohner! Aside from Beer Lao's distinctive taste, I believe that much money went into marketing Beer Lao all over the world, raising popularity and curiosity. Being that it is hard to find, Beer Lao will continued to be bought wherever people can find it. The supply of Beer Lao is certainly not sufficient to meet its high demands. Beer Lao has gone international, but is only available at specialty beer and wine stores, and not to the common man. Hopefully, that will change someday. Thank you again! AT the" INTERNATIONAL FOOD FEST"" LAST YEAR, AT MY SCHOOL, WE ARE LAO STUDENTS SALE BEER LAO N LAO SANDWISH STYLE. 1 AMERICAN GUY BUY 2 CASES OF BEER LAO , WE WAS SURPRISING. he want to buy more, but we just keep it forother, we sale 2 pm - 8pm 80 cases of beer lao, we don't know poeple like it that much. i hope beer lao can go to international market soon. Ha! Thank you, Pam! That's awful that you can't enjoy it properly! Your beer is like my cheese! I love cheese, yet I'm lactose intolerant! What the heck, right? LOL I'm glad you enjoyed it (my hub, not Beer Lao, right?). Yum! I love beer. Sadly, it does not love me! Still, if I could drink it, I'd go out and buy some Beer Lao right NOW. Thank you, Michelle! It tastes better than it looks :) I appreciate your comment! lol! I will definitely look forward to that. Thanks, shibashake! I'm always up to trying something new and exciting. Maybe when I get my feet firmly planted on the ground, I'll try my hand at producing a Beer Lao commercial complete with CG girls, LOL. That would be fun. Great hub dohn! Really enjoyed the story at the beginning. You make me want to run out and pick up some Beer Lao - and I am not even a beer drinker :) Nice picture of Miss Beer Lao! stuart747--You're welcome. As I've before, hopefully Beer Lao will be available to all of soon! Supply and demand, I guess. Thank you. Skydweller--Thank you for the comment, Skydweller! Sorry, mate! In college, all the beer that was served to me came in a 16 oz. plastic cup, if you get my draft, I mean drift! Haha! As I got older and with more money in my wallet, I've grown accustomed to Heineken, but I wish Beer Lao was more readily available where I live. Someday, it will be! Thank you again, awsydney! Thank you for that! I'm going to create some links so others can purchase Beer Lao wherever they live! One place I know of is Upstate NY, but it's still very far from me. Getting it shipped to my house can be very costly. I'll look into it! Thanks again for the advice. lol yes you right, thankyou for promote beerlao. for those who want to know where is beer lao, you can find. Beerlao is now exported to the United Kingdom, the United States, Australia, New Zealand, Japan, Vietnam, Cambodia, France, Thailand, Hong Kong, Macau, Switzerland, Singapore and the Netherlands. It is available duty-free at most Lao border crossings, especially those with Thailand. Your name surely suggests that you are Lao: Sabaidee! Korp jai lai lai! Nice post on this beer. I am a HUGE fan of beer. I have had this one. I think i will check my local world of beers store to see if they have it. Nice hub. Wow. Great job finding this! Now I know who "my" competition is. Thank you for your hard work. Thanks dohn121 there are these two breweries make rice beer. James Page brewery in Minneapolis and Capital Brewing Company in Middleton, Wisconsin make wild rice beer. Yes, Mr Nice. Jasmine is one of the many ingredients. You could invariably say that Beer Lao is a rice beer and could well go down as being hailed as "Laos' Sake!" Sorry about that. As far as I know, it is the only beer in this particular mode that is made with rice. Hope I answered your question this time around. Hi dohn121; Thanks for the quick feedback but you didn't answer all my question's. Yes, Mr Nice, definitely try Beer Lao. It's actually booming right now throughout Asia, as many pubs are selling it like hot cakes. I did forget to mention that Laos, namely Luang Prabang was, according to The New York Times, THE number one tourist destination of 2008. I highly recommend you going to Laos if you're going to be in Thailand! Until then, cheers! Hi dohn121; This is most comprehensive & a Wonderful hub about Beer Lao. As far as I know this is the only Beer I believe made from rice. Other than Japanese Sake, which is made from rice too? I guess Beer Lao is Sake of Laos. Whenever I go to Thailand, I drink Singha Beer, one of the best beers in the world too. You mentioned the flavor of Beer Lao is like Jasmine. I just wonder if they use Thai Jasmine rice to make this Beer. I will be going to Thailand next summer & I will try to find the Beer Lao. I just might be able to find out for you. If I have any success, I'll let you know. I wouldn't be surprised if it was available, come to think of it. Wonder if it's available here in ptbro, ON? Hmm. Hahaha! Yeah, the younger me would've been keen on a 40 ounce version. "Brown bag that sum biyatch please!" Thanks. I still need to add more links so others can buy this at their convenience. I appreciate the comment. Great Hub, , , Thanx for the heads up ... will put it on my shopping list. Me too, atlovesbm! The name's so simple yet unique, kind of like its taste. Thanks for the comment. No worries, Sufidreamer. I'll load up the Yacht and bring it to you directly! I believe that Beer Lao's popularity will only continue to grow, as Laos' tourism market right now is booming and Beer Lao is really the only beer "on tap" per se. It's the equivalent of going to NYC and trying their pizza or Philadelphia for a Philly Cheesesteak. It's a must-do attraction so Beer Lao will definitely garner more attention in the near future. Thanks for the comment! Fantastic Hub, Dohn - I love beer, and that sounds like a nice brew. Sadly, I have not seen it on sale here, but I might try and track it down next time I go back to the UK. If they carry on growing, maybe it will be available in Greece, soon - perfect for drinking on a hot summer day! I enjoy an occasional beer and will definately try beer lao. Awesome, shamelabboush. Please check back again, should you have problems locating it as I know a few more links that may be helpful. You shouldn't have a too much of a hassle finding Beer Lao, Mountain Blossoms. Sawadee! Thank Enelle! That's says a lot coming from a non-beer drinker! Thanks, ralwus. Let me know when you do. I'd like to hear your reaction. Now I must give that a go. Thanks, I never knew. If I was a beer drinker, this hub would def get me to try Beer Lao! I'm just off to find some dohn121! it sounds good! Very good hub. Oh, looks nice, I shall try it! Thanks.